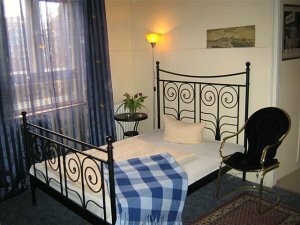 Posts Tagged 'accommodation in Berlin"
This hotel is located in Berlin's Wilmersdorf, 5 minute walk from the Kurfürstendamm shopping street. Austriana hotel offers good transport links and free Wi-Fi. Hotel Pension Austriana, Set in a quiet side street, cozy, individually furnished rooms with cable TV, safe and private or shared bathrooms. Stops nearby Kurfürstendamm / Bleibtreustraße is a direct connection to the train station Zoologischer Garten, Gedächtniskirche Church, and Tegel Airport. The Metro station Adenauerplatz walk away 3 minutes. Hotel Pension Austriana offers every morning a rich breakfast buffet. In the area around Kurfürstendamm many cafés, bars and restaurants. 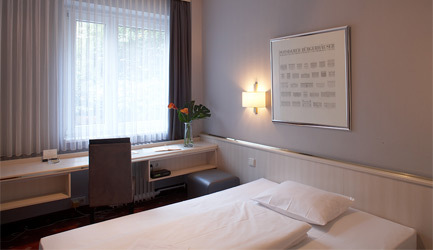 Located in Berlin's Wilmersdorf, just 300 meters from the Kurfürstendamm shopping street. Hotel Pension Insel Rügen offers comfortable rooms with free Wi-Fi. Hotel Pension Insel Rügen je krásný obytný dům v Berlíně postavení kolem roku 1900. The bright rooms are simply furnished, some have private bathrooms. Insel Rügen Hotel serves a rich breakfast buffet. Hotel Rügen offers direct bus connection to the station Zoologischer Garten, ICC Exhibition Centre and Tegel Airport. 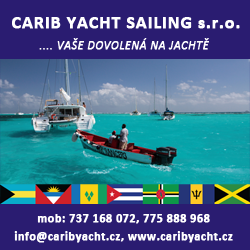 Price from 850,- CZK / night with breakfast, group discounts, suitable for school and tourist groups. dvou a více lůžkové pokoje, some rooms have a common bathroom. 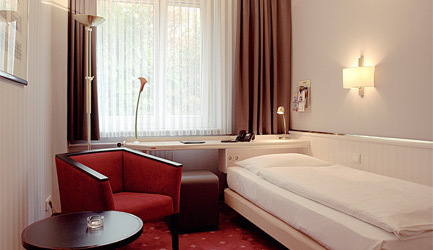 this 3 star hotel in Berlin is just 50 meters from the Kurfürstendamm shopping street. Traditional restaurant with terrace, Free Wi-Fi and private parking. Uhlandstraße Underground Station is just 500 meters. Berlin Plaza Hotel am Kurfürstendamm má moderní pokoje vybavené minibarem, satellite TV and hypoallergenic mattresses. All are also accessible by elevator. In classical Knese restaurant serves Berlin specialties favorite. Start each day with a rich breakfast buffet. 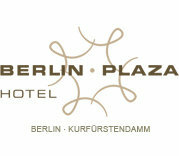 Berlin Plaza front desk operates continuously. The staff can arrange car rental and babysitting. 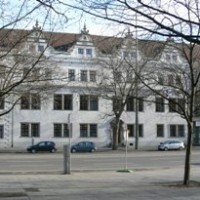 Plaza Hotel is 10 minute walk from the historic church Gedächtniskirche. The KaDeWe department store is within a 20 minutes. Internet: free of charge! Bezdrátové internetové připojení je dostupné v celém hotelu. Parking: Private parking is possible 12 EUR na the rows areálu hotelu. Berlin located in the northeast of Germany, roughly 70 km west of the border with Poland, Surrounded by the Land of Brandenburg (Brandenburg). Town River Spree (Spree), water areas (especially Lake) form 6,6 % total area. There are many parks and green areas and forests. The average height above sea level: 34 m n. m. The highest point: Teufelsberg, 115 m n. m. (it is an artificial embankment, formed from the remnants of building materials bombed houses). Berlin (German Berlin) is the capital and also the Land of the Federal Republic of Germany. The capital of Germany became the year 1991 and the unification of Germany (and hence the two parts of) Berlin is one of the largest cities in Europe and the second largest city in the European Union. altitude: 34–115 m n. m.
The first historically documented mention of Berlin from the year 1244. Year 1451 Berlin is becoming a government town of Brandenburg Margrave of Electors, 1701 then the capital of the Kingdom of Prussia, 1871capital of the newly founded German Empire. Berlin in the past tolerant city, where he found refuge many persecuted refugees, among other things, Huguenots from France (the r. 1685) Protestants zČech (the r. 1730), Some of their descendants, living in the so-called. Czech village (Bohemian village), until the second half 20. century still speak Czech. In the twenties 20. century from Berlin states of the European metropolis with a rich political, mainly scientific and cultural life. Tolerance ends year 1933 the advent of Hitler. After World War II, when the city was largely destroyed (eg. 40 percent of the residential area), Berlin was divided into four occupation sectors. At the beginning of the Cold War, Berlin got in the middle of conflicts between the victorious powers. Already in 1948 leads to the Berlin Blockade (when all of the supply takes place only air link) and then to the political division of the city. The de facto division is the construction of the Berlin Wall 13. August 1961. 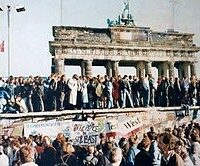 After the fall of the Berlin Wall 1989 begins a new chapter in the city. Berlin became the capital of Germany. As a result, the concentration of the population of other nationalities in certain districts or parts of the state outside of this cultural diversity as well as negative aspects - primary school, where the proportion of foreigners is despite 90 percent of students, not in some districts of Berlin exception. Integrative models of the seventies and eighties, initially promising, failed, some can speak about closed ghettos of various minorities foreigners. In particular, Arab or. Palestinian immigrants or asylum wearer, but also as well as some of the Turkish population, who lives in Berlin many times already in the third generation (which is then integrated under the second phase). In Berlin There is also a large Jewish community, with their 11 000 members (according to other data, then 13 000) largest Jewish community in Germany. In fact, however, is contained approximately 8000 emigrants from the former Soviet Union in the early nineties. Means, that less than one third of the village dates back to the former West Berlin. Before the Holocaust in Berlin lived about 170 000 Jews, of which about 90 000 emigrovalo. Of the remaining were only about 800 Holocaust survivor. Berlin is characterized by a large number of cultural and scientific equipment, some of which achieved great popularity and reputation abroad. Cultural diversity and tolerance while mainly come down from the time of West Berlin, which became in this sense "free" capital to the motto "something for everyone". Current situation and future prospects are strongly affected by the financial crisis of (Talk about closing or merging opera, on subsidies for cultural and scientific equipment, etc.). Among other sights and monuments can be named Reichstag (Reichstag), Brandenburg Gate, world famous Unter den Linden as well jakoKarl-Marx-Allee, zámek Charlottenburg Palace, former Checkpoint Charlie, East Side Gallery (the rest of the Berlin Wall), Fernsehturm television tower, chrám Berlin Cathedral, a zříceninu kostela Kaiser Wilhelm Memorial Church, Kurfürstendamm a Alexanderplatz (former "western" and "eastern" city center), A whole new complex at Potsdamer Platz (Potsdamer Platz) and near (where in the nineties of the last century was more or less a new quarter '), Last but not least, the sights in the near Potsdam.